You guys... it is MAY!!! Holy cow! That is just insane to me! Anyways... I have an old school project for you today, Coffee Filter Butterflies. 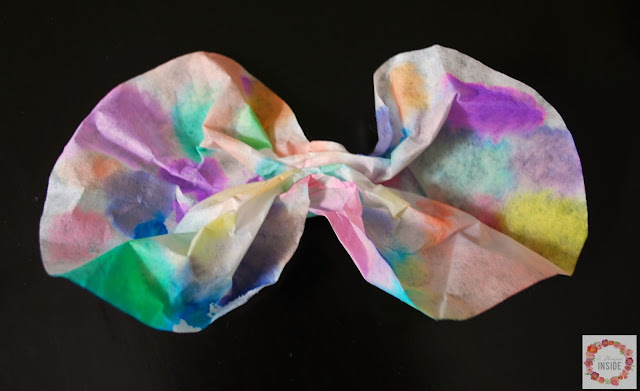 I'm sure you probably created one of these when were young or your child has when they were in school or perhaps at home with you but just in case you have never created one, I thought I'd share it with you. The girls and I created these over the weekend. 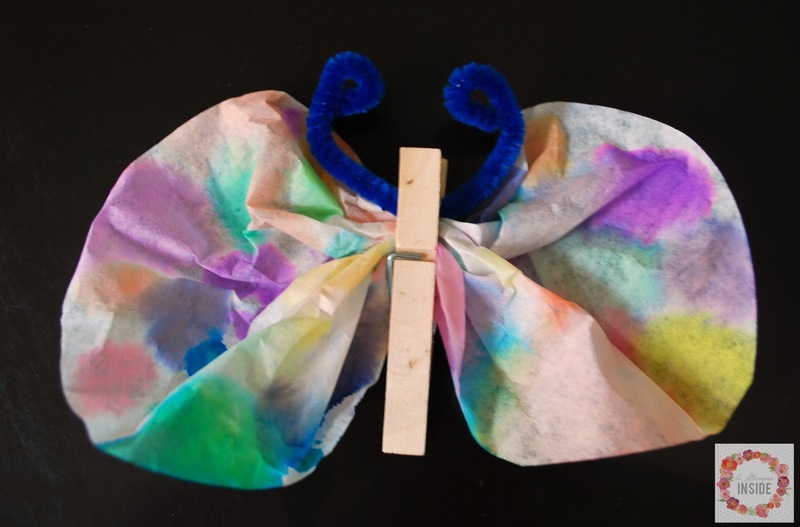 They had a great time creating their butterflies. This is the easiest project and it is super fast. It can be done completely. Longest step is just waiting for the filter to dry to put it together. 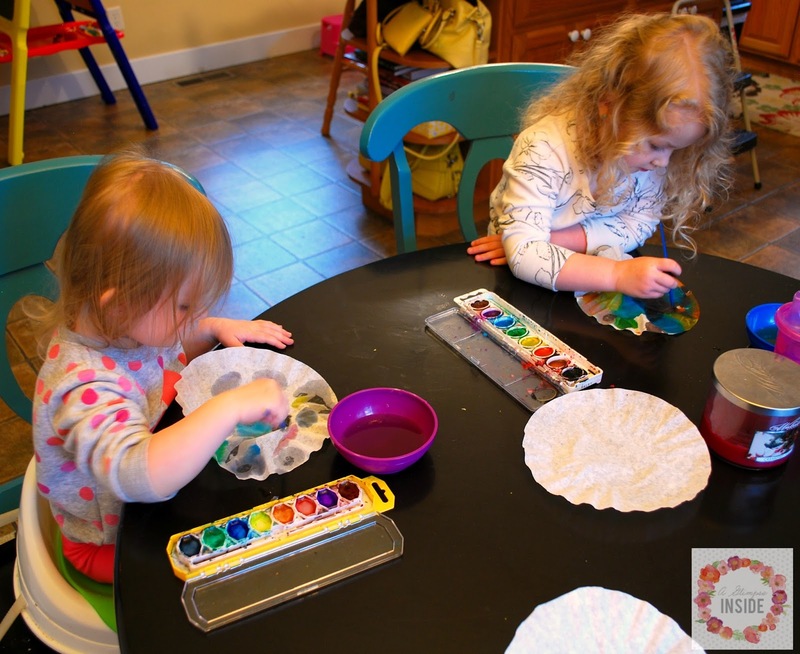 Have your kiddos paint the coffee filters with the watercolor paint. 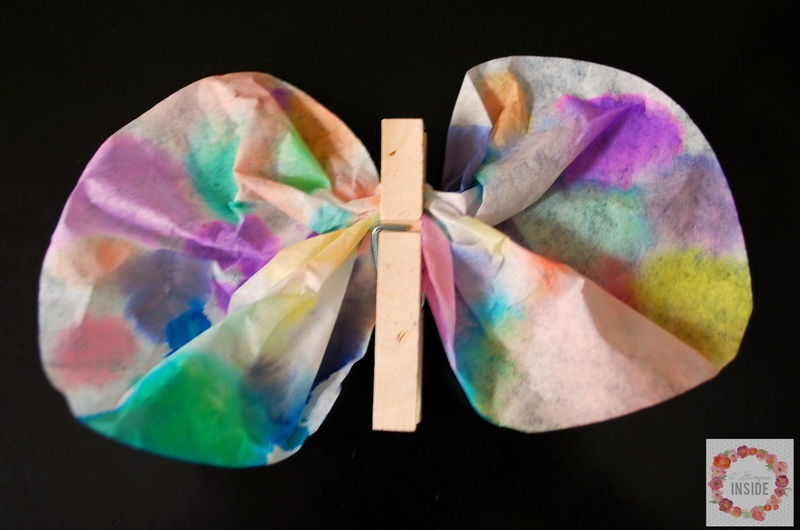 Once they are complete, let dry. 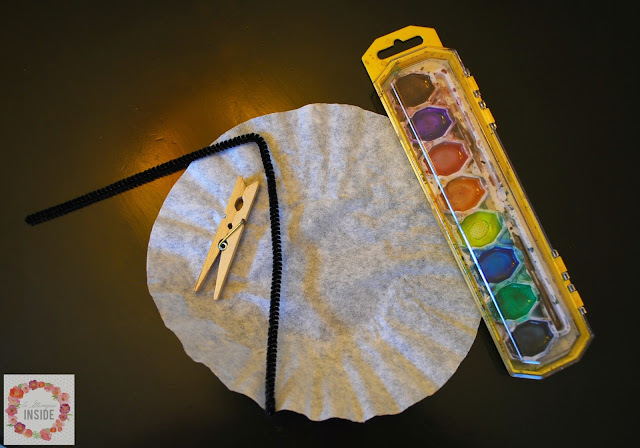 Once the filter is dry, gather the filter in the center. 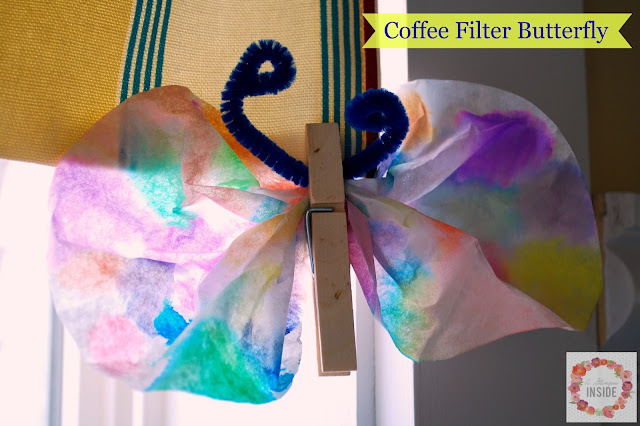 Place a clothes pin on the coffee filter to keep it in place. Cut a pipe cleaner in half and then place that in the clothes pin as an antenna. 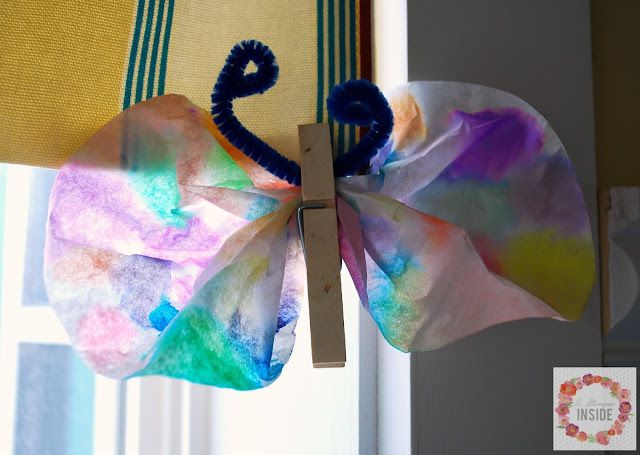 So easy, fast, and a fun little project for kiddos to do! So cute! My five year old would love these!